Shrubs are generally 1 to 6 metres with multi-stemmed woody stems. 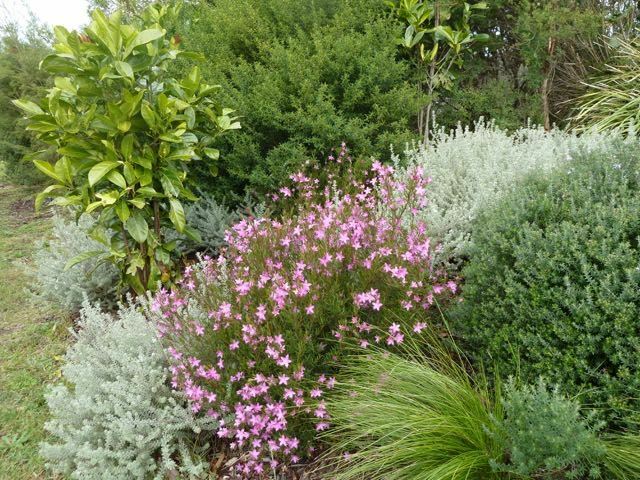 There are multiple forms, shapes, textures, colours (flowers and foliage) among Australian plants as shown below - Westringia 'Smokey', Westringia fruticosa, Crowea 'Festival' among others. Click on the index on the left of this page to access some of our favourite shrubs, or go to the plant database here.